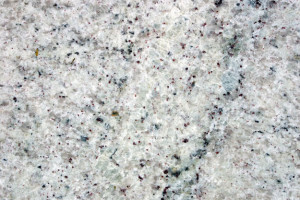 Imagine your water-stained, chipped granite revitalized to its original, elegant state. Santa Fe Floor Care can restore dull, scratched, chipped, or damaged granite floors, countertops, walls, and other surfaces. Granite is a very hard stone. Some stone restoration contractors don’t service granite. However, with the proper equipment and training, it can be honed and polished to reveal the brand new surface that lies beneath. The results we can achieve are dramatic and offer significant cost savings compared to replacement. Whether your granite needs to be honed, polished, repaired, or cleaned and sealed, our highly qualified professional technicians can perform these services for you. Granite is a porous surface. As a general rule of thumb, granite should be professionally serviced and sealed every one to two years. Sweep or dust mop your floors regularly to remove any debris that can get ground into the surface. Proper cleaning, polishing and sealing will keep your granite looking like new. We recommend cleaning your granite countertops and other surfaces using a quality stone-safe neutral stone cleaner. Feel free to ask us specific questions about your granite. We make it a point to educate our customers on proper stone care. Visit our Caring For It page to view recommended products and download our FREE Stone and Tile Care Guide. For a FREE estimate on granite repair, polishing, restoration, cleaning, sealing, and maintenance services throughout the Austin, TX area, contact us online or call (512) 632 1621 today.